Pyeongchang, Republic of Korea, hosts the 12th Conference of the Parties to the Convention on Biological Diversity October 6-17. I am pleased to announce that we have set up an ocean nonprofit group focused on shark related citizen science projects called Ocean Sanctuaries.org. 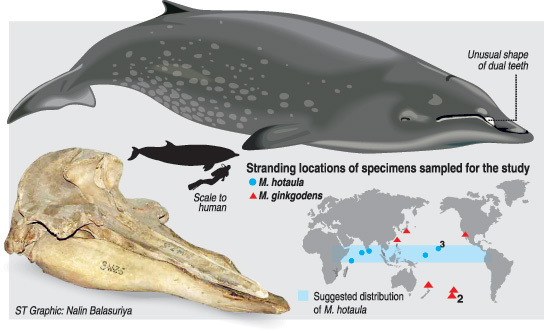 The first project, uses a pattern recognition algorithm to identify Sevengill sharks, called 'Wildbook' which as been used successfully to identify whale sharks. Enter the Cornell Lab of Ornithology, where citizen scientists from all over the world (without Ph.Ds or white lab coats) can enter data about their bird sightings and even discover new species. A long journey it was indeed, from Liberia to Southeast Asia. And finally, I arrived at the Tribhuvan International Airport and headed strict to the Kathmandu Guest House. I was four days late for class. The The common green garden lizard that belongs to the Agamid lizard family this week gained a new relative that brings to 19 the number of spcies in this group, 16 of them endemic to Sri Lanka. new addition is been a result of strenuous scientific analysis under difficult conditions by young researchers Thasun Amarasinghe and Sameera Suranjan Karunaratne. 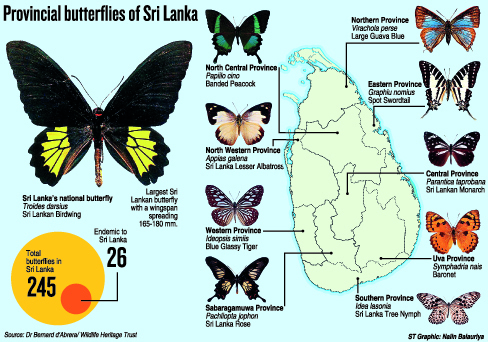 verybody loves a butterfly and perhaps Sri Lankans more than most: four years after the Sri Lanka Birdwing was declared the national butterfly each of the nine provinces are to get their own butterfly. A gecko has become the first creature in 2014 to join the impressive list of endemic species of Sri Lanka. The new species, discovered in Rammalakanda forest, has been named Rammale day gecko (Rammale diva huna), classified scientifically as Cnemaspis rammalensis. Unlike the common house gecko that is found hunting insects near lamps in most households at night, the new species is mostly active during the day. Indiscriminate dumping of heavy metals from auto-mechanic workshops can endanger public health and ecosystem. A professor of chemistry, Babajide Alo warns that other activities at the mechanic workshops put the artisans and their clients at risk.